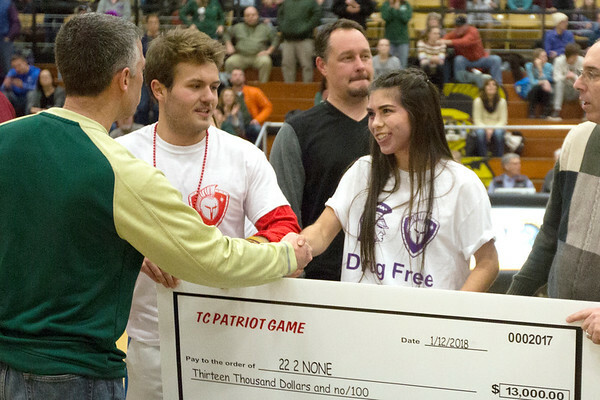 Annaliese Froese a student at Traverse City Central High School, right, with Connor Thompson, center, shakes hands with Tim Wooer, Traverse City West football coach, while presenting a check to 22 2 None, a group aimed at eliminating Veteran suicides. The $13,000 funds were raised from proceeds from the annual T.C. Patriot Game.